Canker sores are generally traumatic, that is, they are due to a cut or bruise in the mouth. When people eat some sharp, dried, or hard foods, such as popcorn, corn chips, crackers, or dried bread, or chew fennel seeds after a meal, the hard, sharp food can hurt the oral mucous membrane, and within a couple of days it will manifest as a canker sore. People who use a rough, hard-bristled toothbrush, or who press unduly hard while brushing their teeth, may irritate the mucous membranes and create a canker sore. Some individuals inadvertently bite the delicate tissues in their cheeks or lips during sleep, or even while chewing or talking. This is more likely if they have TMJ and their bite is uneven, which can easily lead to lacerations and canker sores. If they have high pitta in their saliva, their teeth may be sharp because the crown of the tooth becomes eroded, a combination that may result in repeated sores. Canker sores are small lesions which are white in color and covered by red color are developed inside the mouth either under the tongue, within the lips, or inside the cheeks. 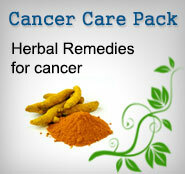 The simplest Ayurvedic solution to canker sores is local application of turmeric and honey. Mix together 1 teaspoon honey with 1/4 teaspoon turmeric, and rub it on the sore. It will burn a little at first, but the sore area will heal quickly. Rinse your mouth several times a day with a little aloe vera juice. Kumari Saar (Aloe vera Juice) , 2 tablespoons 3 times a day, can also help heal canker sores. Mixing aloe vera Juice Gel with neem powder is also helpful. Use 1 teaspoon of gel with a pinch of neem powder, mix together, and apply directly to the canker sore. Put 10 drops of tea tree oil in '/3 cup of water, and swish the liquid in your mouth. The mild solution will act as an antiseptic to help prevent secondary infection, and it will also help to heal the sore. Another topical Ayurvedic remedy is the herb kama-dudha. Take '/4 teaspoon and t teaspoon fresh cream. Mix together and rub it on the sore. Mere applying of ghee will heal the ulcers. It is the most common and easiest way to heal the ulcers. Gargle your mouth with 'Triphala kwath'. This will prevent infection. Intake of vitamin B12 supplements will immediately heal the ulcers. Generally, people with high pitta are more likely to get canker sores. So follow the pitta-soothing diet, avoiding hot, spicy foods and fermented food. 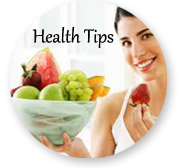 Also keep away from strong alcoholic drinks which will aggravate the sores. Eating a mixture of rock candy powder (1/2 teaspoon) and cumin powder ('/2 tea spoon) will help stop the pain, as well as reduce inflammation and irritation. Sometimes canker sores are accompanied by either diarrhea or constipation. Taking 1/2 teaspoon arrowroot with 1 cup wall' milk helps relieve constipation; taking 1 teaspoon arrowroot with 1 teaspoon ghee, corrects diarrhea.